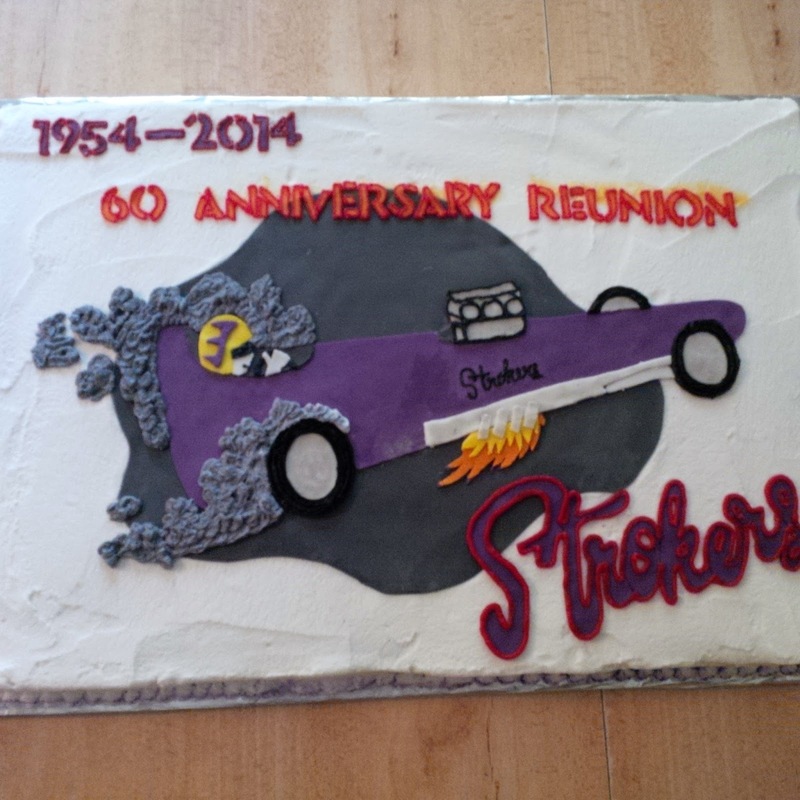 Anyways this past weekend, the Strokers celebrated their 60th anniversary. It was hosted at my Grandparents farm. There were raffle prized (I won a power sander…woo!) and lots of food (pulled pork, chicken, roast beef…) and lots of music (My Dad’s band played all afternoon/evening). It was a lot of fun. My Grandparents asked if I wanted to make a cake for the party, I said I would love too! Papa stopped by that afternoon and gave me the DVD from their 50th anniversary party to watch and get some ideas. He thought it would be neat if I used the DVD case as reference. 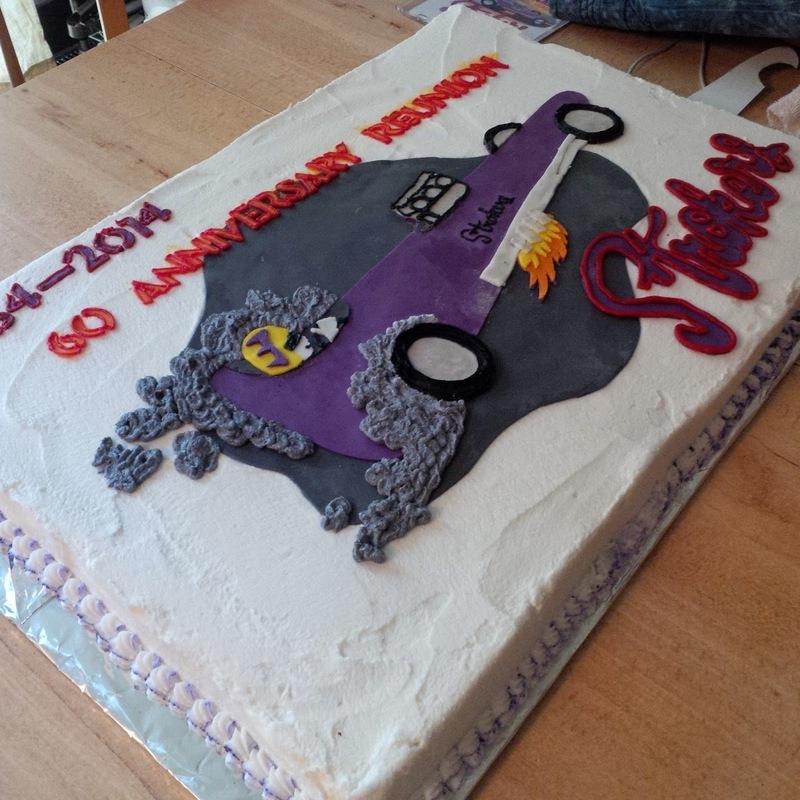 Their ‘team car’ was a purple dragster (interpreted above). 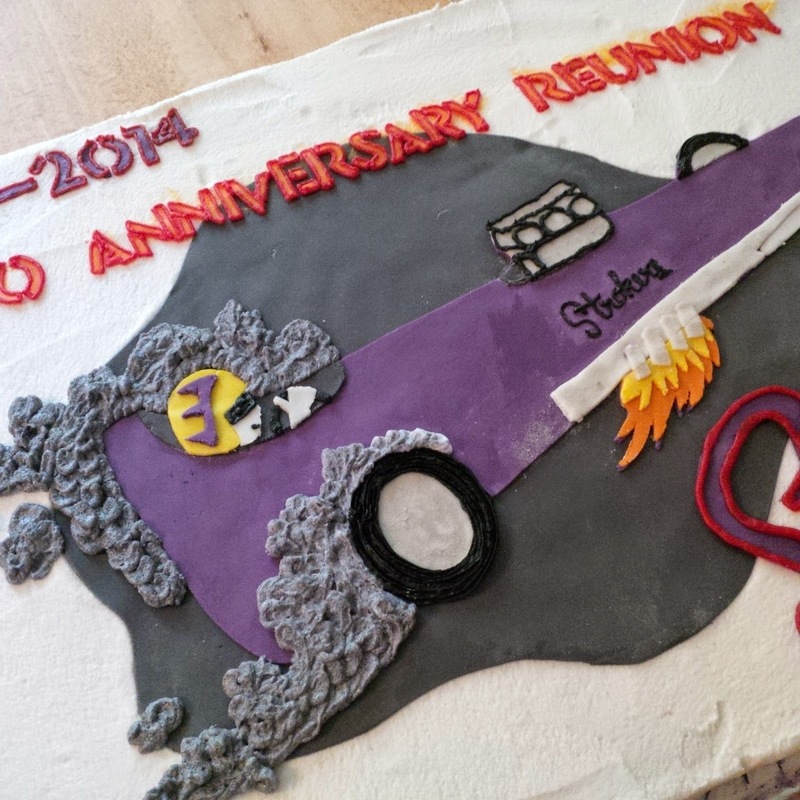 This cake was made to celebrate a 60th Reunion! Size: This cake was made out of two 15 x 11 cake pans placed side by side. Taste: Half of the cake was chocolate fudge, the other half was vanilla. Filling: This cake was filled with strawberry jam. Icing and decorations: This cake was iced with homemade buttercream icing. All of the coloured decroations are made out of homemade marshmallow fondant. Everything is edible on this cake. Here is a picture of the actual dragster!